A day in the life of a stay at home Mom is no joke. Add running a business on top of that and most of the time you’re laughing at yourself for the crazy idea you had to start one in the first place. 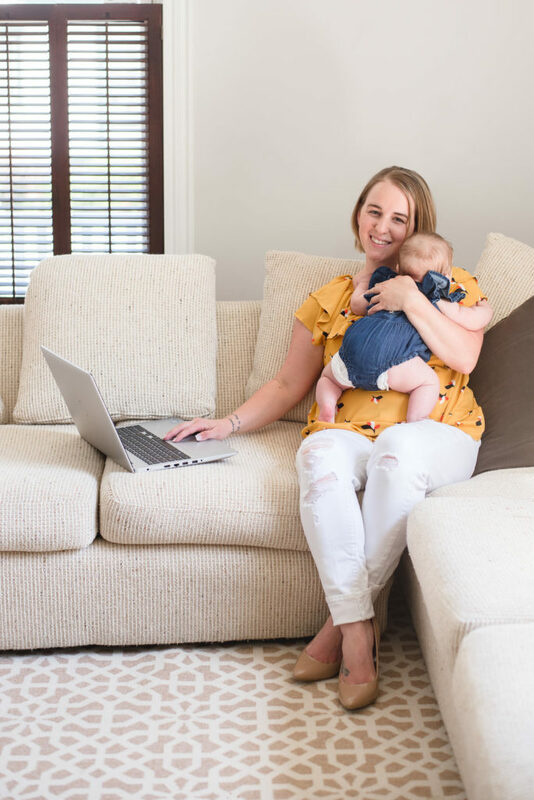 Being a work at home Mom as a food blogger and lifestyle blogger is terribly amazing. Some days it’s straight up terrible – and some days it’s beyond amazing. You would think that being a stay at home Mom is all sunshine and rainbows. You play, laugh, and feed the children while dancing around all prim and proper from a 50’s show. I assure you, most days that’s not the case for the average stay at home household, and when it is, it’s because the kids are sick and not acting themselves. I’m not trying to say that children are horrible – not at all! But they are a ton of work and certainly not easy to maintain. Being a stay at home Mom means you’re cleaning, cooking, changing kids, bringing them to and from appointments… and in my case having three out of four be boys means I’m constantly stopping someone from hitting someone else. Make that fourth one a newborn… yes, things are a bit busy, chaotic, and unpredictable. I’m quite happy to be a homebody these days. Moms, in general, give so much to their families. Really one of the biggest things I see and hear in Facebook groups of Moms is that we rarely give ourselves time to do things we enjoy. We give and give of ourselves, which we love, but miss the part of it being gratifying. Part of that comes from our inability to see what we do as stay at home Moms is work. To pay someone to do all the things we do, you’re looking at an annual payout of $75,000 on average. That’s crazy! Yet, when it’s our own children, we don’t see it as work. We value it less in a way. It’s just something we have to do. Of course, we love our children and are happy to do #allthethings for them, but sometimes Moms just need something of their own to make them feel and see in a different way that they are contributing to the household. I know that’s the drive behind my love of being a work at home Mom. 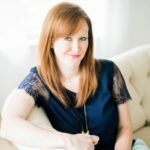 My decision to become a food blogger and lifestyle blogger came from that very place of wanting to do more for my family and give myself a creative outlet. Over the past 6 years of being a photographer, my family has grown substantially. While photography was a wonderfully creative and lucrative outlet, I wasn’t able to devote the time I wanted to into portraiture sessions. While I couldn’t leave the house on the regular for sessions, what I was leaving the house to do was grocery shop. Remember those three boys I was telling you about? Yes, they eat like their boys too – with no sign of slowing down any time soon. With that fact of life and encouragement from the amazing food blog community, I started a blog photographing food and creating recipes to share with my family and you! There is a huge and constant struggle within every work at home Mom. We as Moms always want to do better for our families. We want to make sure kiddos are being fed and loved in the best ways possible. What that turns into is long nights, working through naps, multi-tasking like you see in my video below, and being burnt out. It happens. There’s no real way around it. We work through seasons of being up all night with a baby or with our baby blog, working equally hard on both to nurture and grow them. It’s exhausting. But soon comes the day that your baby is strong enough to take its first steps, say its first word, and your blog gets its first sponsored posts, and it’s finally able to have ad content on it. All these firsts that we work so hard for, cry for, and scream about, at the brink of quitting – become fulfilled. We as Moms find fulfillment in ourselves as we see our dreams fulfilled in our healthy children, healthy marriages, healthy bodies, and healthy minds. It doesn’t happen all at once… no. It just doesn’t – if it does it maybe lasts an hour. But we find fulfillment in the craziness. Moms are tough, crazy, determined, and willing to do whatever it takes to build and be a part of a brighter future for our families. Take a look inside my day as a food photographer and Mom. Remember, if I can do it – you DEFINITELY can! Now, put your crazy on and go chase those dreams! Working with Katherine was a complete pleasure. She understood my concept and created exactly what I had envisioned. Ad revenue with video has increased. So if you're on the fence, take the leap! Katie has created several recipe videos for me over the past year. She’s creative, easy to work with, and is great about keeping in touch. 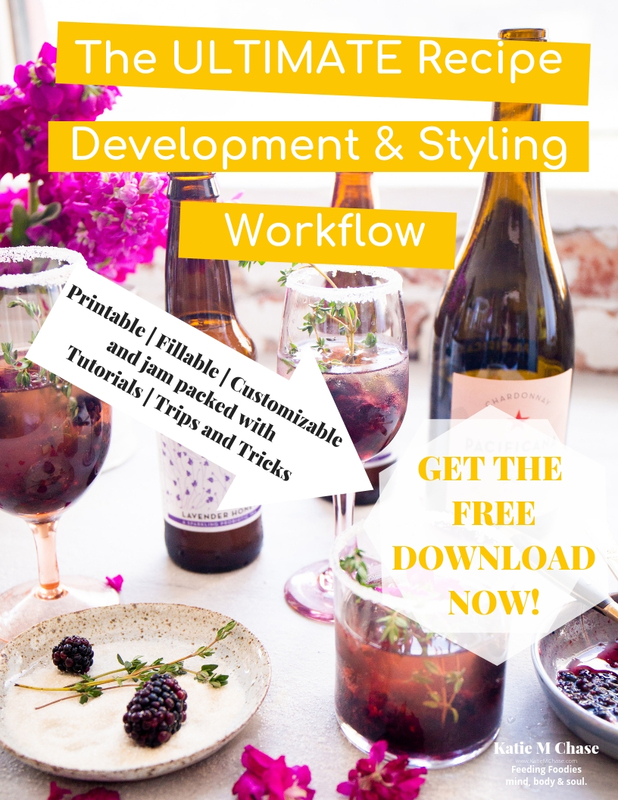 This Workflow Workbook is seriously amazing! Its been such a huge help in for me to create the recipes and photography I want and being able to capture them the way I envision. This workbook allows me to go from recipe development to testing, to a photo shoot, to blog post without forgetting anything important or losing the 50 scraps of paper I took notes on. Finally, everything I need is in ONE place and easy for me to not only use but keep a copy of. I seriously LOVE this workbook!